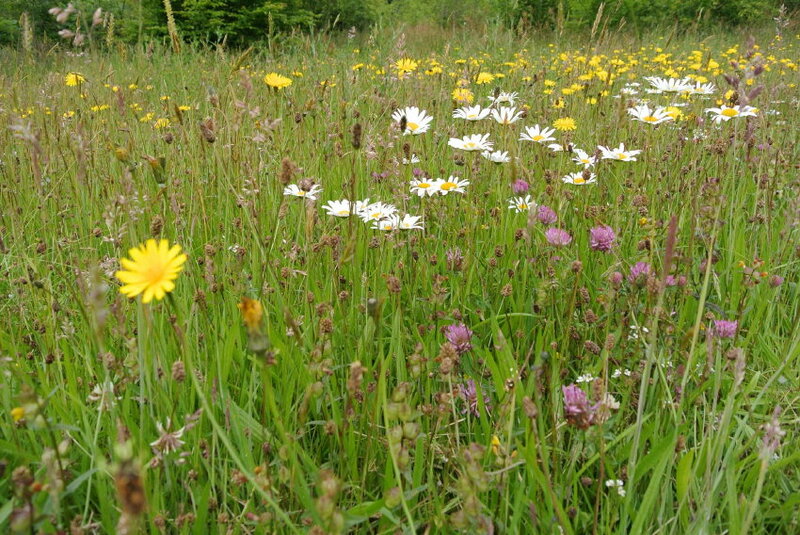 Do you want to manage your grasslands and to encourage wildlife? Are you unsure how to do it? Do you lack the livestock, equipment, or knowledge to help you? 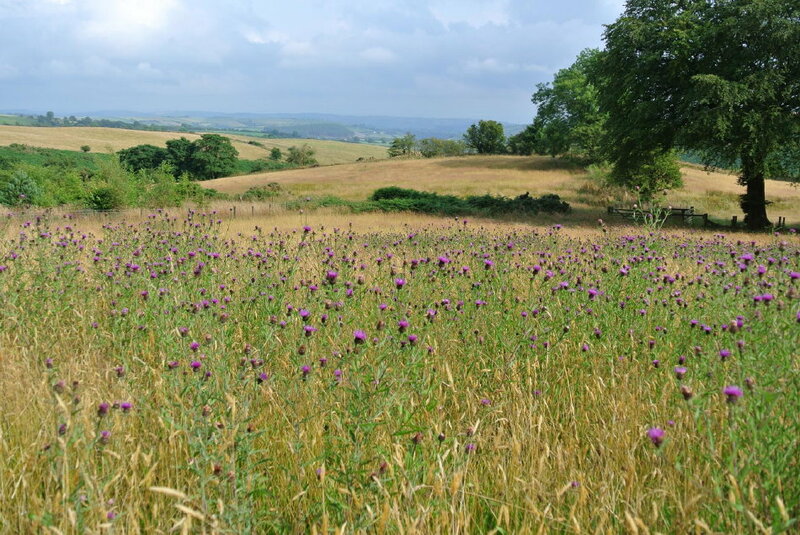 The Carmarthenshire Meadows Group was launched at the National Botanic Garden of Wales, in the spring of 2015. 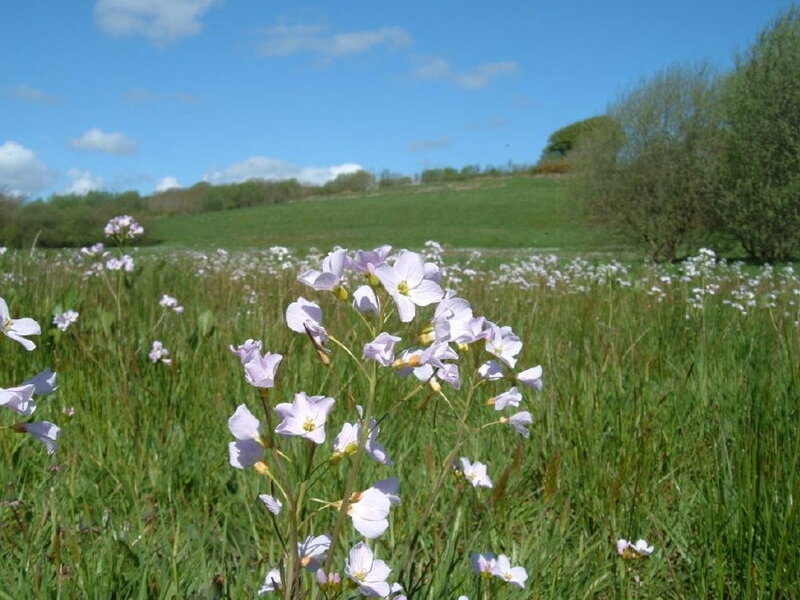 Its aim is to inspire the creation of a county-wide community that supports each other to improve the diversity of plants, fungi and animals on meadows, large or small, across Carmarthenshire. hold meetings to provide people with a chance to meet and share experiences. 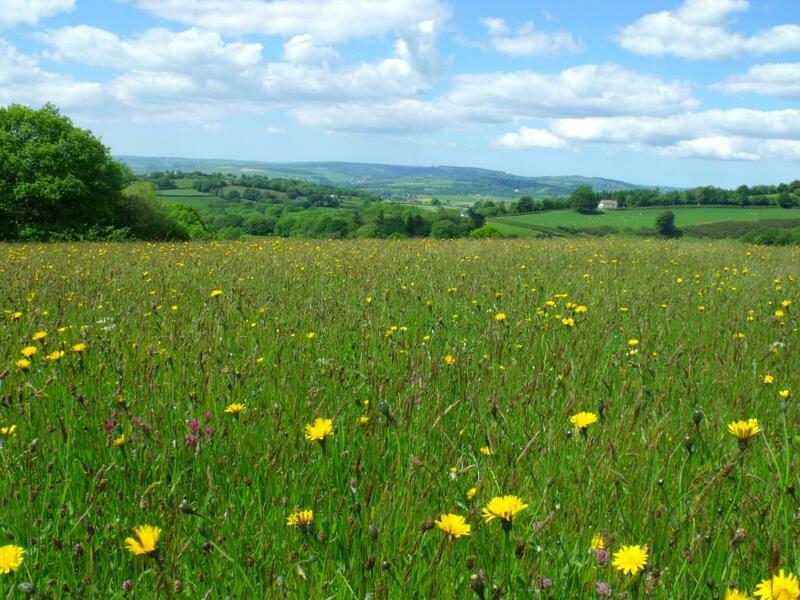 If you want to manage your grassland for wildlife then why not become part of the Group and be inspired to work with others across the county to help restore the floral and fauna splendour of your own patch of Welsh countryside. Please see the separate CMG membership page to see how you can become a member, and the events page for current CMG events. 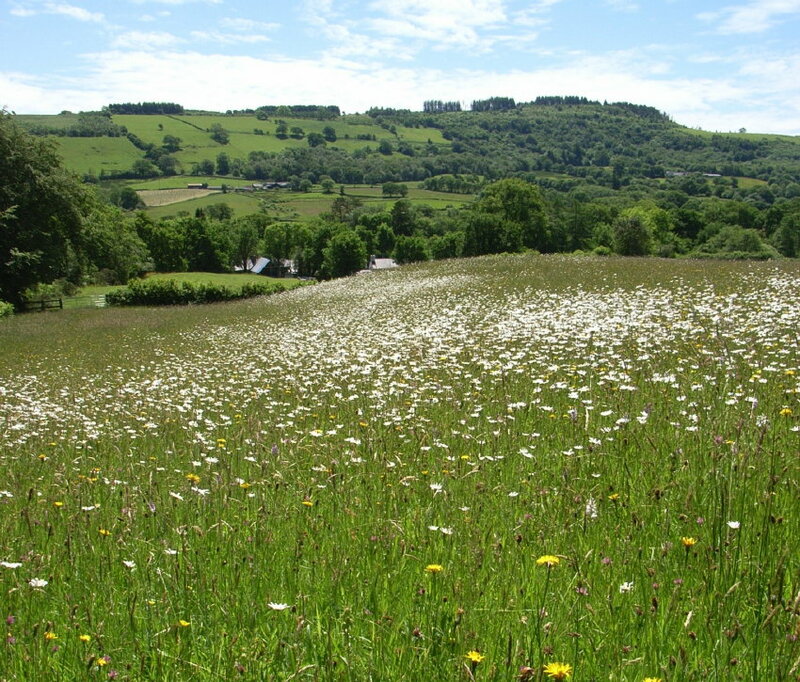 If you are interested in finding out more about the Carmarthenshire Meadows Group, then please browse these pages, contact Rachel, as above, or contact Carmarthenshire’s Biodiversity Officer, Isabel Macho : IMacho@carmarthenshire.gov.uk or ring 01558 825390. A ydych am reoli eich tir er mwyn hybu bywyd gwyllt? A ydych yn ansicr ynghylch sut mae gwneud hynny? A ydych yn brin o dda byw neu offer i’ch helpu i wneud hynny? Os felly, gallai menter newydd yn Sir Gaerfyrddin fod o ddiddordeb ichi. Lansiwyd Grŵp Dolydd Sir Gaerfyrddin yng Ngardd Fotaneg Genedlaethol Cymru. Y nod yw creu cymuned ledled y sir sy’n helpu ei gilydd er mwyn gwella’r amrywiaeth o blanhigion, ffyngau, ac anifeiliaid sydd ar ddolydd mawr a bach ar draws Sir Gaerfyrddin. cynnal cyfarfodydd i roi cyfle i bobl gyfarfod â’i gilydd a rhannu eu profiadau. Beth am ymuno â’r Grŵp os ydych am reoli eich glaswelltir er budd bywyd gwyllt a chael eich ysbrydoli i weithio ag eraill ledled y sir er mwyn helpu i adfer bioamrywiaeth ysblennydd eich cilcyn bach chi o gefn gwlad Cymru. Gwefan sy’n cael ei datblygu yw hon ac ychwanegir gwybodaeth newydd bob yn dipyn. Cysylltwch â ni os oes gennych unrhyw awgrymiadau ynghylch y wefan. Os oes gennych ddiddordeb mewn dysgu rhagor am y Grŵp Dolydd, cysylltwch ag Isabel Macho, Swyddog Bioamrywiaeth Sir Gaerfyrddin, drwy anfon neges e-bost at IMacho@sirgar.gov.uk neu drwy ffonio 01558 825390. 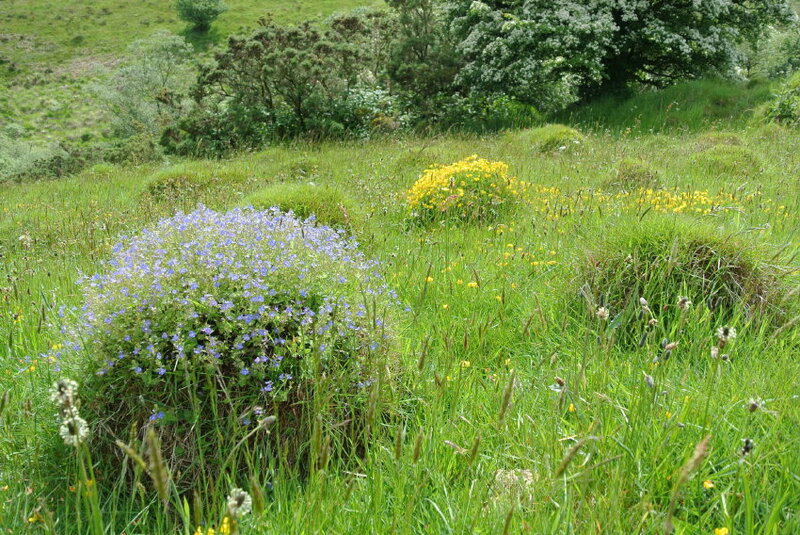 Really lovely website which captures the essence of those meadows. Makes me want to go meadowing. Thanks for the kind comment, If it makes you go want to go meadowing….brilliant. This is such a wonderful website, and I love the ‘meadowing’ section. Thank you for setting it up Julian. Thanks for the kind comment. It was very much a collaborative effort, and hopefully with time will become even more interesting. Hi Julian. Thank you for developing this informative website. We planted up a woodland on our property last year and are already benefitting from a significant increase in wildflowers and insects particularly butterflies, dragonflies etc. 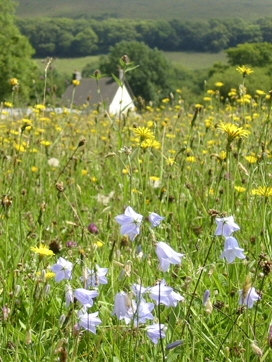 We would like to develop a wildflower meadow but at present, we have cattle and sheep on the fields – not ours’ so, once this is sorted, we’ll be onto it. We’re novices and are excited at the prospect of effecting a change in the biodiversity around us simply by allowing nature to do her stuff! Will look out for events here and have already pencilled in the Meadows Group Meeting on October 24th. Great website, really informative and inspiring. I wanted to leave a quick post to share my exciting news….we have our first orchid in our field! I wanted to upload some photos, but I’ve not figured out how to do it, is there a way I could upload some photos on here? We have a 6 acre field near Carmarthen, and it was previously managed as a silage field. After only the second year of no fertilizer, and a once-yearly hay cut in August, we have seen a big difference already, and have quite a wide variety of species. My version of “meadowing” is wondering around the field every evening, checking on our lone (so far) orchid, enjoying the variety of invertebrates darting around, and avoiding all the chores I should be doing! 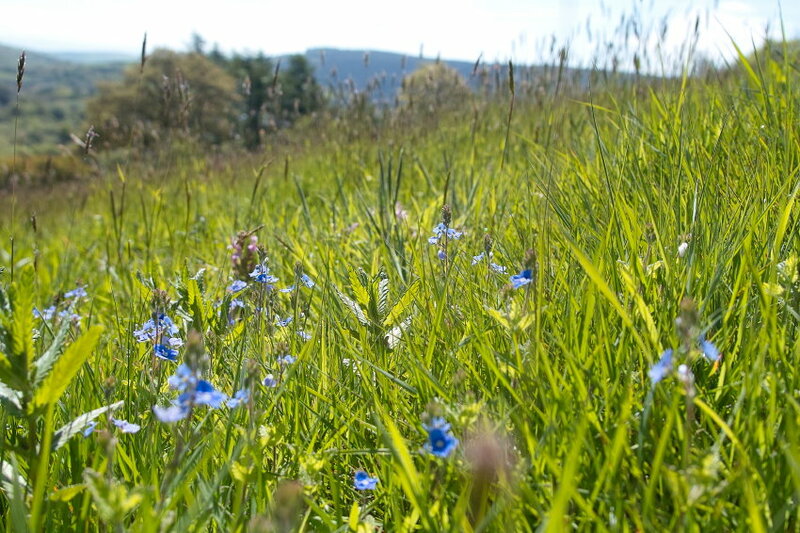 If you send me any pics of your meadow and what you want to say, I’ll put them up on a post. I’m really keen to get more pieces like this from anyone – I feel very strongly that the website should be able to share this sort of information from around the county. If you send them to me at grumpyhobbit@gmail.com, they should arrive OK. If possible could you reduce any images sizes before sending to about 150 KBs, or say 850 pixels maximum size in 1 direction? If you can’t reduce the sizes pre sending, I can do it, but we have limited satellite data allowances, so normal pics of say 2 – 3 MBs, take ages to download, and I have to reduce them anyway to get them on WordPress, or they then take ages for anyone else to look at. Hi there. My husband and I have recently moved to the outskirts of Meidrim where we are renovating a cottage. We have a 3 acre field that we would like to create a wildflower meadow on but are complete novices so we’re really glad to have found this site. Please let us know when the next meeting is so we can attend. In the meantime we have recently borrowed some sheep from a nearby farmer to graze the land as it hasn’t been touched all summer. 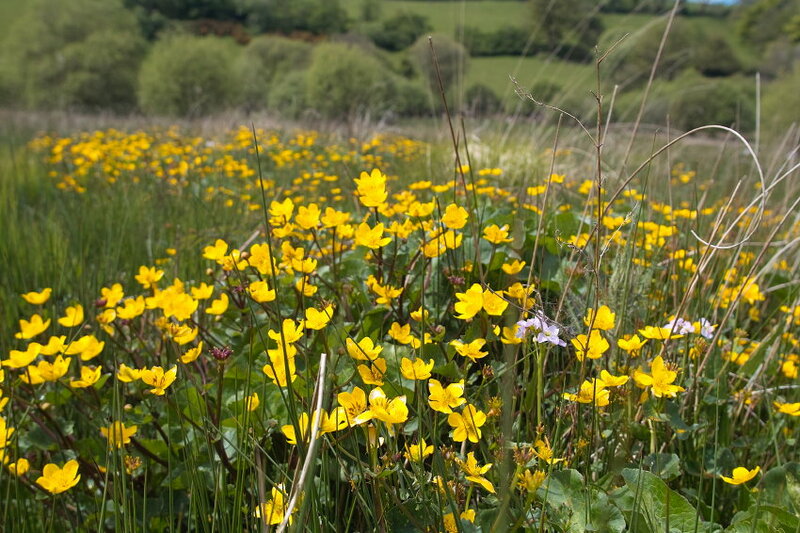 We are worried we might have too many weeds, in particular creeping buttercup, so we would be very interested in a site visit and any advice as to what our next course of action should be. Jo and Jon. PS Although it’s a bit heavy going in places, ( and pricey!) George Peterken’s book would make a great Christmas present, and certainly give you lots of ideas and inspiration and be a valuable resource/reference in years to come. Thanks Jo, we have a planning meeting this Saturday for a steering group, so I’ll do an update on the blog posts page of what happens – which will hopefully include details of membership, etc. If you click on the follow button on the blog posts page, you should then automatically receive any news, etc. related to the group, as soon as it gets published. I’m unable to attend the meeting this Saturday but would like to join up. I’m especially interested in the information regarding the soft rush. Would I be able to access any information following joining? If you look at the separate membership page, then hopefully after Saturday’s meeting, there should be details there of how you can take out annual membership of the group. Unfortunately there’s an element of Catch 22 with getting a new group like this off the ground with a proper membership – you can’t open bank accounts, etc. until you have officers and an idea of a constitution, and these only got thrashed out last weekend after much discussion and preparation.. I know that Colin, the Treasurer, is currently hoping to have this option for membership being taken out on line sorted out very soon. With regards to soft rush, I’ve made the film, which I’m showing on Saturday. It’s really a case study of what we’ve achieved here, and maybe will give folk some useful ideas, rather than being the prescriptive answer. I’ve burned a few DVDs of it today, and again after the showing on Saturday, there may well be an option to hire or buy one of these…but it might be worth waiting until then so that I can assess what the responses from the audience are, as to its merits! So perhaps I might respond to you again sometime after next weekend if that’s OK? plants – yellow rattle, knapweed, red clover. I live in Bryngwyn near Newcastle Emlyn. Is this too far away? Thanks for the comment. 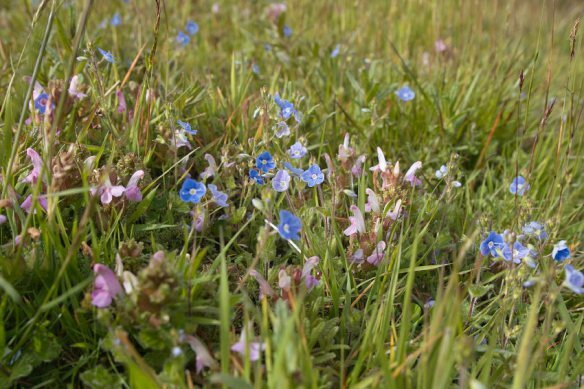 A few suggestions which might be helpful – unlike MMG we can’t currently guarantee someone can turn out to do a survey, but there’s a list of locally based ecologists who might be able to help. ( See the ecological surveys web page). 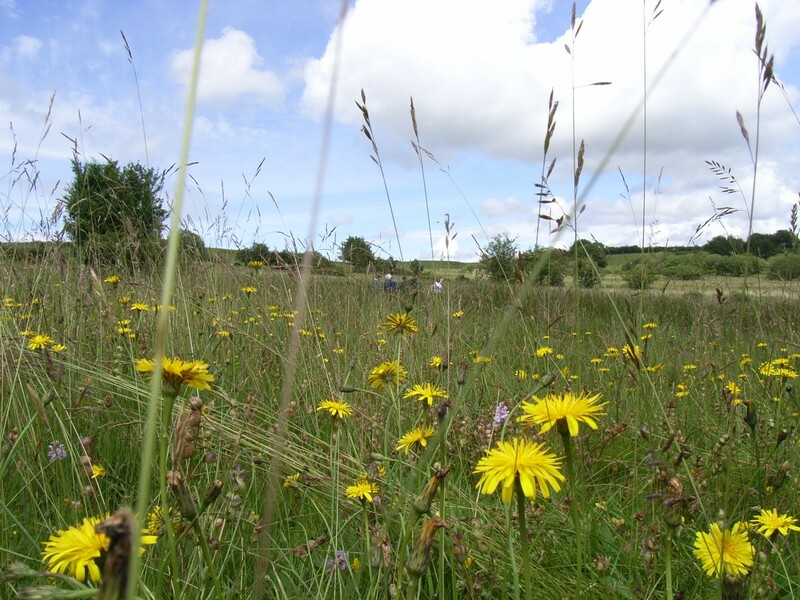 In addition there’s an upcoming course at Denmark farm near Lampeter on Thursday June 8th, organised by Plantlife to help meadow owners with doing their own surveys. ( See events page for more). Finally have you thought of joining CMG? It only costs £10, and if you were a member, and could make the next meadow walk at Cwmdu – again see events page – you’d meet Richard and Kath Pryce, who are the county’s botanical recorders, and very interested to visit any member’s meadows to do botanical surveys ( they did one at our place last August, which I wrote about on the blog – sadly this is only restricted to CMG members, and they are very busy people, so you’d have to see if/when they were able to do this. I just realise that if you actually live in Ceredigion, then you’ll have different county botanical recorders to Richard and Kath Pryce, so would need to find out who they are on line, and contact them separately. You could still join CMG though! We have a few members just over the border!